Is it wrong to be more interested in the Maestro in the background? This is a beauty on autotrader, You don't see many like this for sale at garages often though what do you think of the Ã‚Â£1000 asking prices?. I reckon it's worth it Trigger. Not the most polular car in the world but that's in really good nick and what are the chances of finding another that nice? Is this the Landcrab you were looking for Keef? One lady owner from new, as seen in the pics! 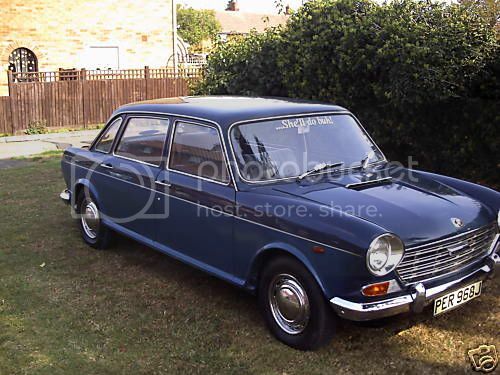 I reckon I'll get a Cortina at some point. Wouldn't mind a Cavalier either. Just realised everything here is 1.6 L spec. No cheap tax for you! GR8 1.6L selection Hirst. Cortina for 'style', but the Cavalier for everyday please. Those Mk2's were well nice to poot about in. They'll hear you coming with this pair of sporty diesels. As a bonus, the Granada is an ex-taxi with vinyl seats and no headrests. Quality! I looked a couple of MGF's for the wife last year before i bought the Puma, what a crook of shite, One looked like it had been reshelled and the other looked like it had spent it's holidays deep sea diving, The test drive wasn't much better with a speedo that couldn't decide if i was doing 30 for 60, an exhaust that was gone and steering with a mind of it's own, and it had 'only' done 40k on a S reg.I walked. W00f! A Ford anorak has already spotted it has the massive ashtrays on the back door panels, part of the factory Taxi pack. Rare as! Rover for me please! Sweet as! I've got the '82 Ford brochure which lists the spec of the Granada Taxi pack - I must root it out! I looked a couple of MGF's for the wife last year before i bought the Puma, what a crook of shite, One looked like it had been reshelled and the other looked like it had spent it's holidays deep sea diving, The test drive wasn't much better with a speedo that couldn't decide if i was doing 30 for 60, an exhaust that was gone and steering with a mind of it's own, and it had 'only' done 40k on a S reg. I walked. Don't blame you. The one I drove was 03 reg, crap ride, panel gaps you could fit your finger through, scuttle shake that rattled your fillings and the worst fitting hood I've ever seen, which is saying something as I've had a Herald droptop. My mate's MX5 is a hundred times better. 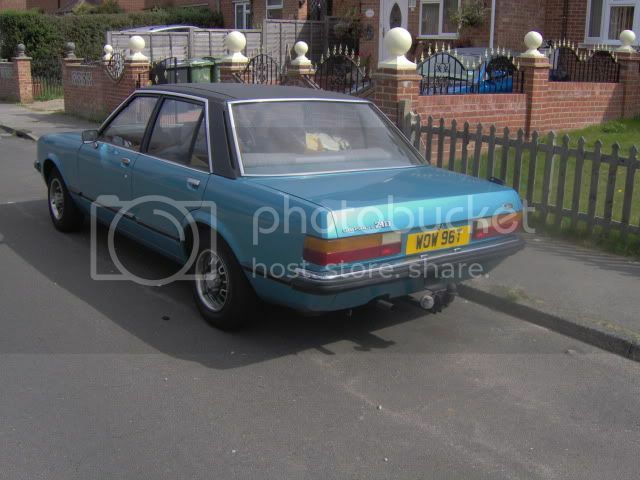 By the way the first dealers must be coming through now as a well known Reliant Scimitar specialist in Chester is selling the new Chinese ones now apparantly. Can't say I've seen hundreds of punters waving cash about in a queue outside just yet though. Don't forget the addtional roof wiring and zipped headliner on the Granada!!!! And the 'additional suppresion pack'. Taxi pack you say?I recall a bloke up the road having a Mk2 Granada he used as a taxi yonks back and when he damaged a door he moaned that the replacement from another saloon at a scrappy wasn't big enough.I remember questioning him over this as I always thought all Granada saloons would be the same. Anyone know if the taxis had slightly bigger doors? The Taxi was a standard shelled, ÃƒÅ“ber-base-model, normally diesel Mk2. The Taxi pack added the goodies listed above. Huge ashtrays, vinyl seats, radio suppressors and the like.If his doors were the wrong size, he either had major issues, or one of those weird Coleman Milne jobs. I followed a 58 plate MGF the other day. Did a double take at first. This lokos appealing for 100 euros! I have a massive yearning for a Pug 604. I will have to have one soon. Vinyl roof and wheel jazziness suggest otherwise!